Get trippy! Or not! 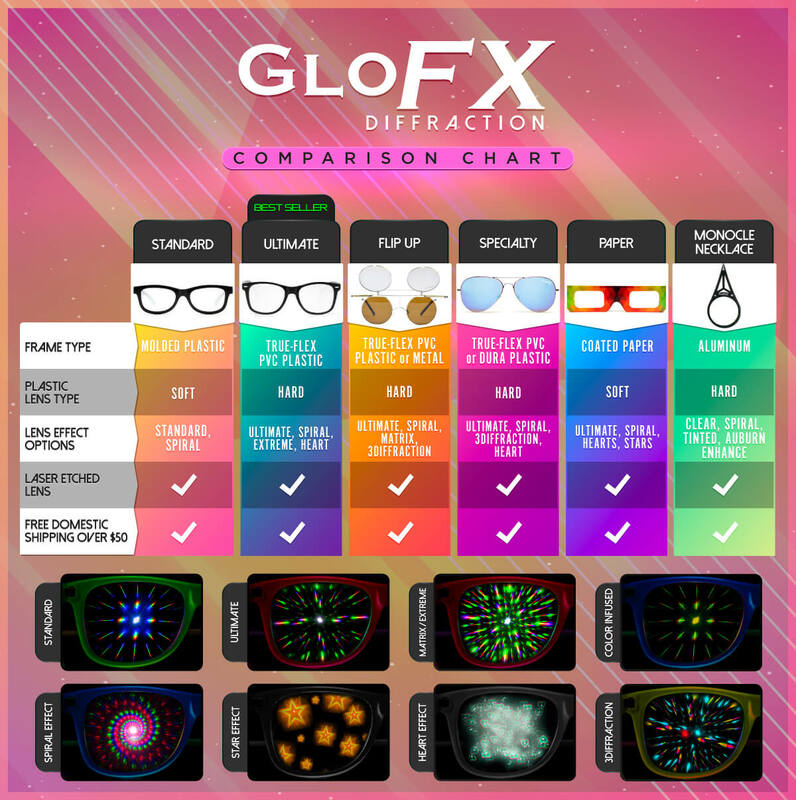 These rave glasses offer your choice of diffraction when flipped down, or regular sunglass lenses when flipped up. The base lenses are auburn enhanced and fitted in a crossbar style vintage circular frame. This classic design is in a true metal frame, just like lenses made in the 70’s! The flip-down round diffraction lenses feature a reflective orange-mirror finish, and epic rainbow-prism effect. We really went all out with this design by adding soft rubber ear guards, an adjustable plastic nose bridge, and fresh GloFX logo printed on the flip lens. These retro circular frames will bring out your inner hippy, while you get trippy at your next EDM festival! Matte Black Round Vintage Orange Mirror rave lenses feature a Lifetime Warranty, and nearly three times the light diffracting effect of our competitors!